WASHINGTON — Just one hospital in the wider D.C. metro area — Johns Hopkins Hospital in Baltimore — earned a spot on a new “honor roll” of the top best-performing medical facilities in the U.S. But some hospitals in the immediate D.C. area rank among the top 50 for certain specialties. Johns Hopkins bumped up from No. 4 to No. 3 nationally on U.S. News and World Report’s 2017 “Best Hospitals Rankings,” which evaluate hospitals on 25 different areas of adult care, including cancer treatment, hip and knee replacements, and various types of heart surgery. Johns Hopkins was nationally ranked in 15 specialties. For the second year in a row, Minnesota’s Mayo Clinic took No. 1 on the top 20 list. In the immediate D.C. area, two hospitals were nationally ranked in specific fields. MedStar Georgetown University Hospital was ranked No. 24 nationally in diabetes and endocrinology and rated “high-performing” in four areas: Geriatrics, nephrology, orthopedics and urology. MedStar Washington Hospital Center was ranked No. 47 nationally in cardiology. “What really stands out is Washington has a number of good hospitals. So a patient who needs care here is likely to find a hospital that’s strong in the area of care they need,” said Ben Harder, chief of health analysis and managing editor at U.S. News. He said it’s important for prospective patients to evaluate hospitals on the specific area of care they or their loved ones need. “Being a great hospital is great but every institution has strengths and weaknesses,” he said. Overall, U.S. News placed 11 D.C.-area hospitals on a broader list of the 535 “Best Regional Hospitals,” which, again, evaluates hospitals on those 25 different areas of care. That “really puts the city on par with some of the most well-resourced cities in the country in terms of how many hospitals they have that meet this criteria,” Harder said. 1. 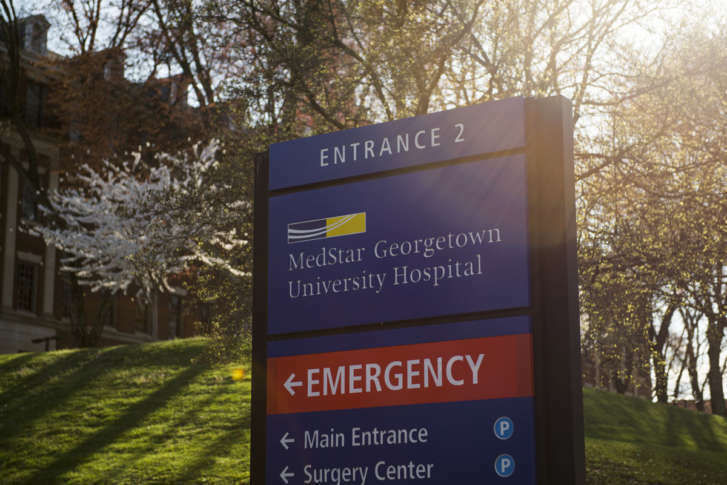 MedStar Georgetown University Hospital in D.C. — nationally ranked in diabetes and endocrinology and rated high-performing in four areas: Geriatrics, nephrology, orthopedics and urology.